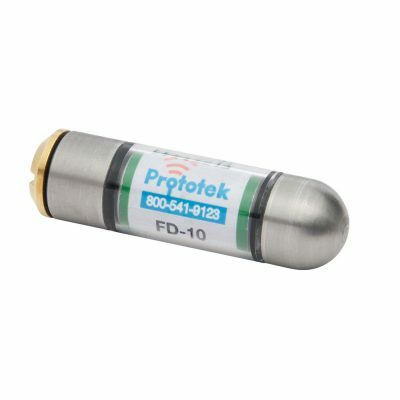 With its new more durable and compact design the FD-10 is perfect for locating in lines as small as 2 inches. The FD-10 transmits using the industry standard 512 Hz frequency for locating in cast iron and nonmetallic lines. The smallest snakable transmitter in our 512Hz line. This mini transmitter still has the power to get the job done. 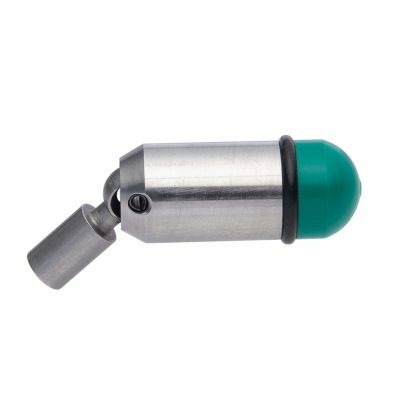 The FM-05 will help you locate in small cast iron and nonmetallic lines and with the swivel drophead as the battery cap it will allow you to pass through P-traps and tight elbows.